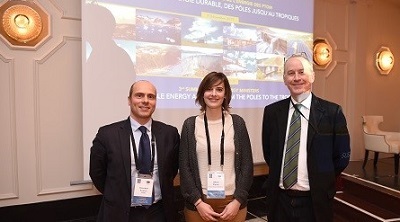 The CPMR Islands Commission participated in the 3rd Summit of Energy Ministers from Overseas Countries and Territories (OCTs), organised by OCTA on 07 December in Brussels. OCTA counts 22 members which spread from the Poles to the Tropics, covering the Caribbean, Indian, Pacific and Atlantic (North and South) Oceans up to the Artic. The main objective of the event was to promote OCTs potential in the field of energy and opportunities available in an open market environment and to share on the most appropriate solutions and actions in support of the transition towards a sustainable energy. Sustainable energy being identified as a specific area of cooperation between the OCTs and the EU. The Summit gathered OCT Ministers, representatives of the European Parliament and of the European Commission as well as a number of stakeholders including from private sector, involved in islands and energy issues. The Executive Secretary of the CPMR Islands Commission intervened in Session 2 “Accelerating the clean energy transition on Europe’s islands” to present main IC’s political agenda and explore opportunities for further cooperation between the CPMR and OCTAs. In this respect a particular attention have been given to the European initiative, “Clean Energy for EU Islands”, and to the added value of promoting functional cooperation between research centers based in the OCTs and those one based in the EU Islands.